Facebook has been accused of failing to alert police to messages sent between terrorists using its site after a government report into the death of a British soldier blamed internet companies for failing to properly monitor content sent online. 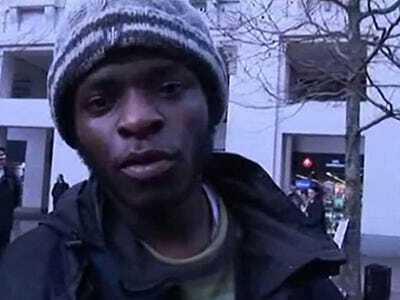 Lee Rigby was killed in May 2013 when two men hit him with a car before stabbing him to death. The two killers wandered the streets after the killing, explaining to shocked onlookers that the murder had taken place to avenge the killing of Muslim soldiers by the British army. Both of Rigby’s killer have now been sentenced to jail, and the result of a government report into the attack was published today. A major part of the document focuses on whether intelligence agencies could have prevented the attack. The report concluded that errors had been made, but that the attack was not preventable. The version of the report released to the public doesn’t actually name the social network at fault. But Sky News is reporting that Facebook was the platform used to communicate. That’s raising questions about why Facebook failed to alert police to a “graphic” conversation about a planned murder between two extremists.